Achieving the perfect landscape involves blending the natural and built environments. 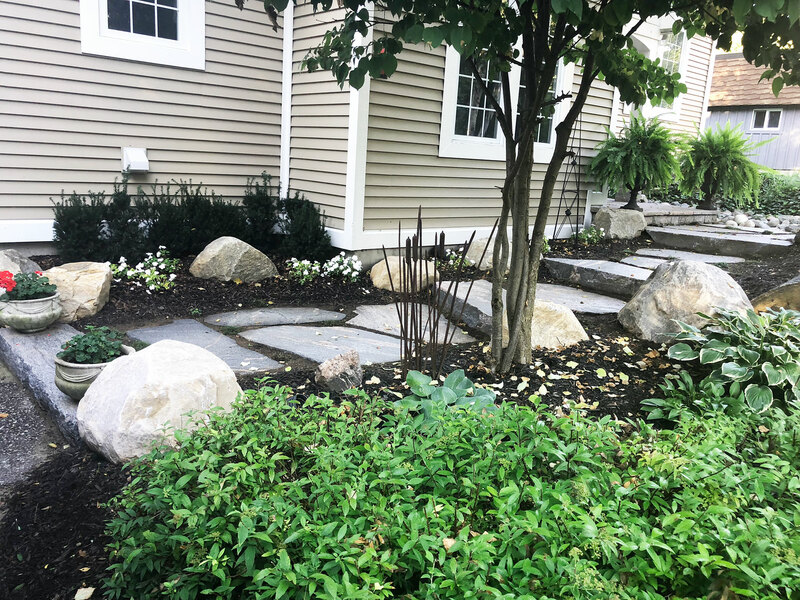 A landscape that weaves together planted areas with appropriate hard material construction (or hardscaping) not only makes a striking contrast, it brings out the best of your property’s value. 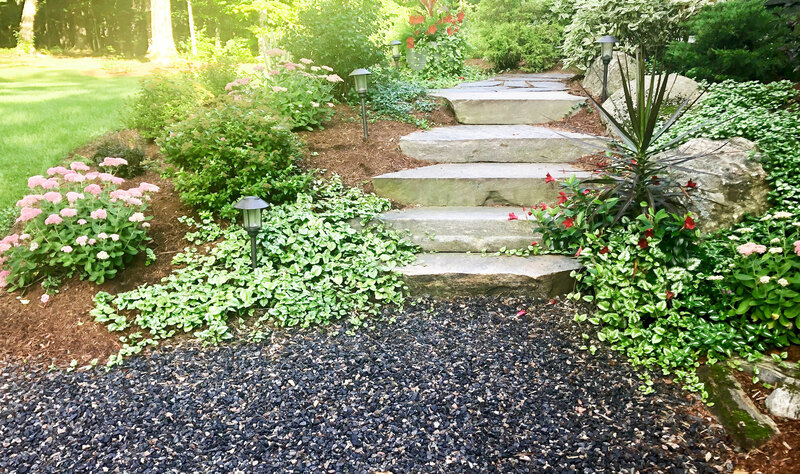 With hardscaping, your yard or property could be transformed with something as simple as granite edging or beautiful granite stairway . Perhaps there are interesting patterns inside your house which can be echoed outside by constructing stairs or walkways. A rock wall — built with engineered-rock face, or the old-fashioned way, with original granite rock — creates a timeless border and adds charm to your Muskoka property. Even a plain old driveway can be given new life with a fresh beautiful granite covering. Every home is different, and these are just some of the ways Heron Point Construction can frame the unique character of a property and expand the outdoor living area.